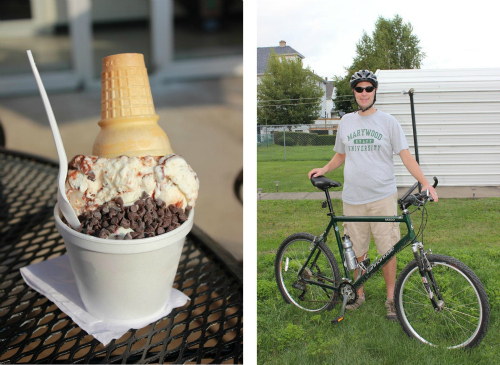 we went out for thai, ice cream, and a bike ride. What did both of you eat? Ryan's looks like it might be seafood and is yours Pad Thai? 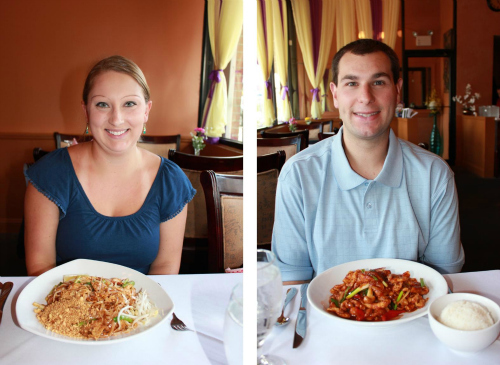 Did you go to Asian Fusion? If Ryan's ice cream was the kiddies size, no wonder there is an obesity epidemic in kids in the US. But it sure does look. ooo... I want that ice cream!